Welcome to Lowland Farm’s online purchasing site! 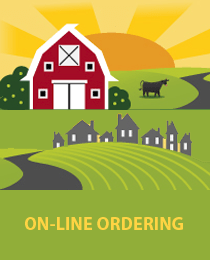 This site can be used to order any of our available pastured pork or grassfed beef for delivery to any of our pick-up locations. If you are interested in special cuts that you do not see in our inventory, please contact us with your request. Most orders have approximate weights and costs associated with each item. The actual amount will be calculated when your order is weighed and packed. You will receive an email confirming the exact amount along with any pick-up details. All orders for on farm pick-up, totalling 20 pounds or more, will receive a 20% discount. This offer only applies to our grassfed beef and pastured pork, and only for on farm pick-up. The discount is applied when your order is weighed and processed and will be reflected in your final e-mail confirmation, not before. Our on farm pick-up hours are 10am – 3pm every Saturday or by appointment. We do not offer home deliveries at this point in time, but if you are interested in establishing a buying club in your neighborhood, you may contact us for more information. Thank you for your continued support, and happy shopping!